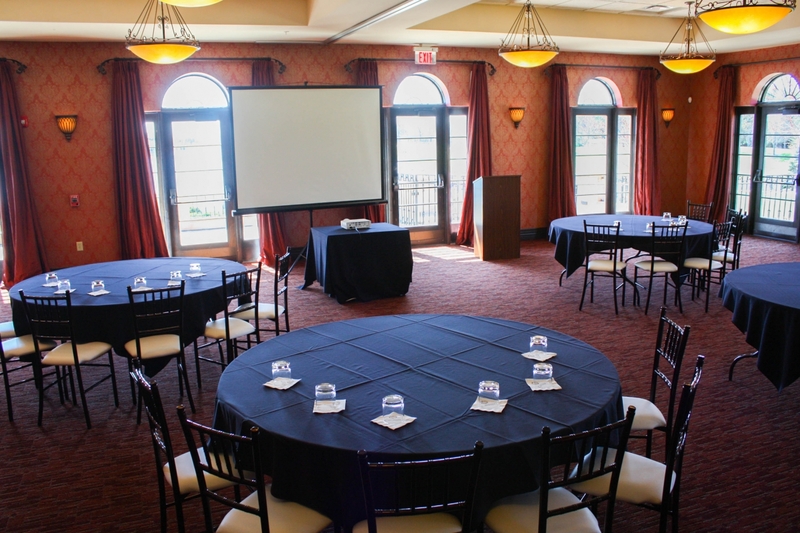 Make your next event extraordinary at The Club at Corazón and experience a new way to do business. Whether you are planning an executive board meeting, fundraiser, team building event, or conference our meticulous attention to detail makes Corazón the perfect choice for any function. Our Professional staff is experienced in creating a multitude of environments that suit individual needs, from appropriate seating arrangements to technical support and equipment. With unforgettable views and surrounding vineyard, The Club at Corazón provides an invigorating and unique twist to the traditional business meeting. Conveniently accessible off of Interstate-270, The Club at Corazón’s richly appointed Tuscan style clubhouse offers comfortable décor and state-of-the-art business amenities. Plus enjoy a delectable lunch or dinner in one of our gorgeous spaces or and end the day with a glass of wine in our restaurant or on our gorgeous terrace overlooking the lake. This space is our more private secluded meeting space that is best for smaller intimate meetings or intimate dining experiences. This well-appointed space contains a large conference table that seats up to 10. 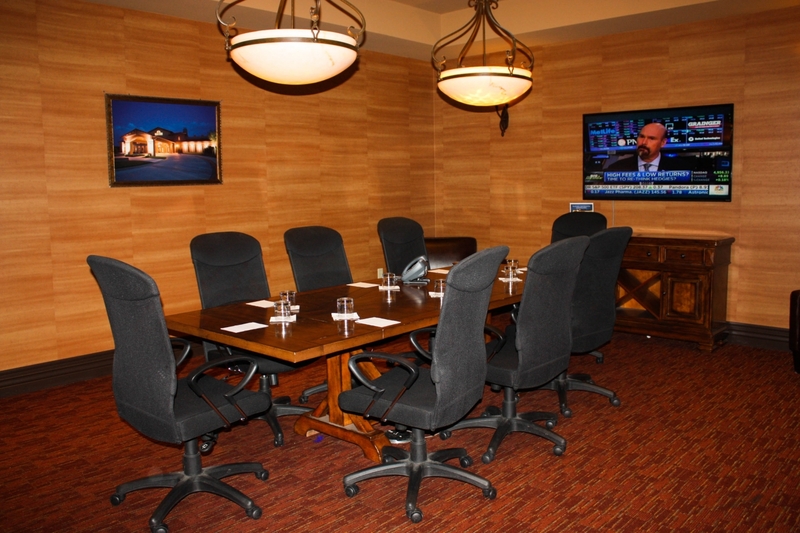 With a built in Television for presentations and Wi-Fi this is the perfect place to entertain business associates or clients. 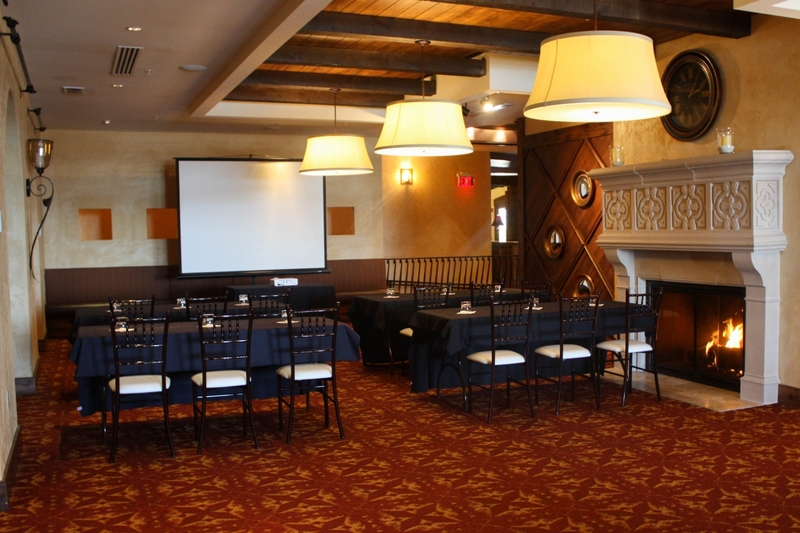 We offer all-inclusive half and full day meeting packages that include the rental of the space as well as hourly rental. To secure this space there is a fee of $50 per hour with no food and beverage minimum required. If you are looking for something your group will remember, this is it. The Grand Salon at Corazón has floor to ceiling windows that offer a sweeping panoramic view that overlooks the vineyards and lake. This space is richly appointed in Tuscan style while offering a unique modern feel. It is the perfect back drop for a business meeting, presentation or gathering. Treat your guests to an event to remember at this one of a kind venue. The Grand Salon accommodates up to 250 and splits into 4 different size spaces for all of your smaller event needs. To secure this space there is a rental Fee of $500-$1500 with a food and beverage minimum of $1000-$7500. Pricing is dependent upon the date and time of your event as well as your event set up needs. This is a unique space with a cozy fireplace overlooking the La Vińa Bar. With lake views and a versatile design it is the perfect space for a casual meeting, presentation, luncheon, dinner or even a cocktail hour, Accommodating up to 100 dependent upon needs. To secure this space there is a fee of $250-$500 with a food and beverage minimum of $250-$1000. Pricing is dependent upon date and timing if your event as well as set up needs.